The world-famous exhibition 'Invisible Musicians,' which displays pieces from the collection of the Belgian Automatia Musica Foundation, is now the guest of Istanbul's Rahmi M. Koç Museum. 'Invisible Musicians' has traveled already traveled to four continents, presenting musical automatons that are both musician and instrument rolled into one. Traveling the world like troubadours from the Middle Ages, a new exhibition in Istanbul is telling the story of musical instruments from the 18th and 19th centuries through its presentation of priceless musical automatons of yesteryear. 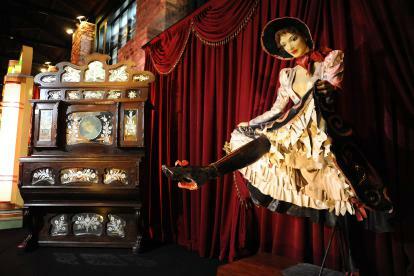 “Invisible Musicians” at the city’s Rahmi M. Koç Museum features 250 items from the collection of the Belgian Automatia Musica Foundation and includes mechanical instruments and music automatons, some of which exist nowhere else in the world. Many of the pieces belong to a group of European collectors, with the oldest dating back to 1750.